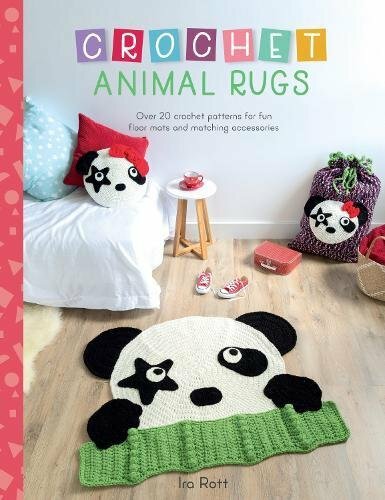 This collection features over 20 animal-themed crochet rugs your kids will absolutely love! Patterns include an adorable elephant, giraffe, a cuddly cat, a monkey, a sneaky crab, a friendly dinosaur and a snuggly bear! Each rug comes with a coordinating pillow and accessory ranging from security blankets to stool covers, bed book tidies, placemats and toy bags!